Last Chance to Register for this years conference!! With Bill 165 - An Act to regulate home inspectors passing to the committee stage before re-entering the assembly for the third and final reading before Royal Assent. We are pleased to confirm that Han Dong, MPP for Trinity-Spadina has committed to attend the conference and speak to the Bill. This will be the only chance for Inspectors to hear first hand from Han about the process that is now ongoing and what his aspirations are for regulation. We are still hoping the Hon. David Orazietti - MPP, Minister for Government and Consumer Services will be able to make time from his busy schedule to attend with Han. Registration for the Event will be closing at 9am on the morning of Wednesday 9th. This is your last chance to pre-register. The current space is nearly full. 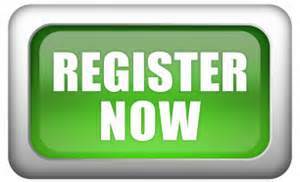 We ask for you to pre-register to allow us to ensure sufficient space is available. Non-members that do not pre-register will be required to pay at the door. Credit card payments only accepted. No Cash or Cheques.